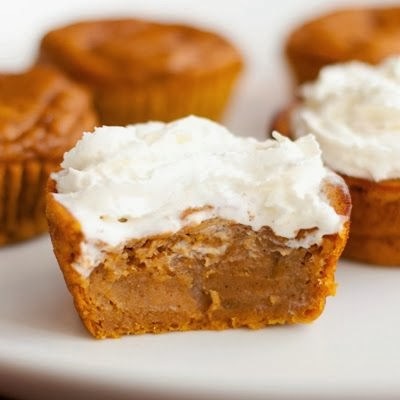 Try a simpler approach to making pumpkin pie with these delicious cupcakes. Get all of the flavor in half the time. With pumpkin puree being a main ingredient, use the $1.00 off 2 Carnation Evaporated Milk, 12 oz can when you buy 2 Libby�s 100% pure pumpkin, 15 oz from Red Plum 10/28. Preheat oven to 350 degrees. Line 12 cup muffin tin with silicone liners, foil liners sprayed with cooking spray or just spray the cups with cooking spray. Either of these three methods will make it easy to take the cupcake out after it�s cooked. Paper liners make it difficult to remove the cupcakes.